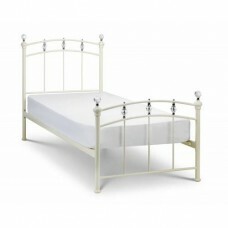 White bed frame serves as a luxurious centrepiece for any bedroom, and it is important to find the right bed frame that makes the right impression. 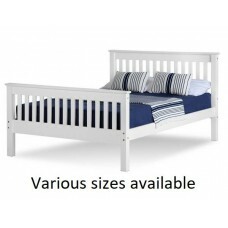 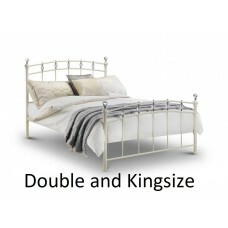 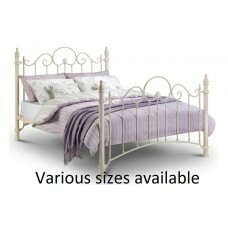 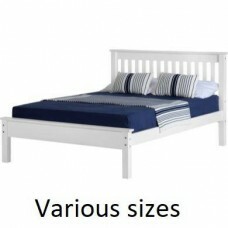 Whether you’re looking for a white metal bed or a white wooden bed frame plus much more. 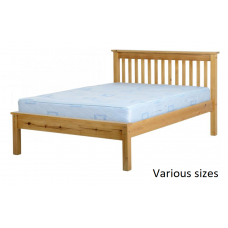 Additional to the frame materials, we have a huge selection of sizes and styles of bed frames including; bunk beds, children’s beds, double beds, single beds and everything in between. 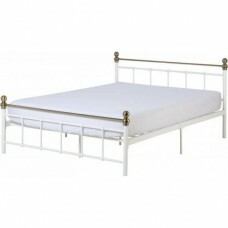 Horn Blower Wooden Bed Frames Hornblower Bed £363 in Antique Pine with sprung slats, 3 full d..
Mission Children's Bed Frames Mission bed in single Finish: White £249.35 Waxed: &po..
Katrina Metal Bed Frames Katrina Bed in Stone White Finish with Sprung Slatted Base Single bed fra..
Arabella Metal Bed Frames Arabella Bed in Stone White Finish with Sprung Slatted Base Single bed f..
Sophie Metal Bed Frame Sophie Bed in Stone White Finish with Elegant Crystal-Effect Finials and Spr..
Sophie Single Metal Bed Frames 202cm L x 97cm W x 117cm H Description: Our Exquisite Sophie Metal ..
Florence Metal Bed Frame Florence Bed in Stone White Finish with Sprung Slatted Base Single bed fr..